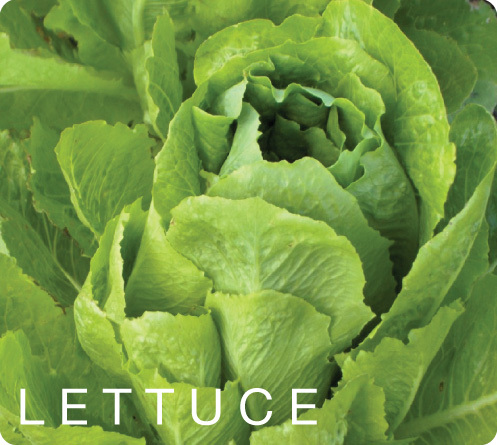 Lettuce is source of vitamin A and beta carotenes which have antioxidant properties. Vitamin A is required for maintaining healthy mucus membranes and skin, and is also essential for vision. Zeaxanthin in lettuce is absorbed into the retinal macula lutea where it provides antioxidant and protective light-filtering functions, it protects against age related macular disese (ARMD) in the elderly. It has vitamin K which helps prevent osteoporosis. It also has a role in the treatment of Alzheimer’s disease, as it limits neuronal damage in the brain. It also contains good amounts of minerals like iron, calcium, magnesium, and potassium which are essential for body metabolism. Potassium is an important component of cell and body fluids that helps heart rate and blood pressure. Manganese is used by the body as a co-factor for the antioxidant enzyme superoxide dismutase. Copper is required in the production of red blood cells. Iron is essential for red blood cell formation.